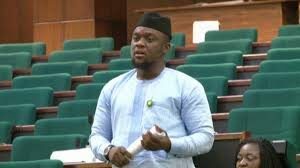 A member of the House of Representatives in Oyo State; Abiodun Olasupo, finally spoke out on the issue of the recent defection from APC;All Progrssive Congress to ADC; African Democratic Congress which he claims they did ‘forcefully’. He said the recent defections across political parties are good for democracy, adding that the development would enhance good governance. According to him, “Democracy is about the tyranny of the majority. There won’t be a strong political party when the interest of the minority overrides that of the majority. “As long as there is no strong political party, there won’t be a stable government and without a stable government, there won’t be the much-desired development.” Abiodun stated that political participation and membership were about free entry and exit to allow participants decide their political ideology and direction. He said: “When the tenets of a political party do not give power to the people to elect who leads them, then free exit is guaranteed. “People will have to move to another party where they are warmly welcomed and where internal democracy is much sacrosanct. “We defected to ADC where we found an abode. This is an abode where party supremacy and internal democracy is highly valued. In this party, the tyranny of majority works and the minority have their say.’’ He said that politics globally was about personal interest, adding that participants needed to be where they were wanted in accordance with the choice of supporters.